Flowers and plants can bring life at any place and you should know the ways to keep flowers fresh and alive all along. The beautiful Wild Flowers Gold Band Small Vase can be easily set anywhere at your home. You can put it near your bedside table or you can put in above the fireplace. There must be many places in your house which might seem artificial completely, so for making it live, you can choose to add a twist of charm there. You can add any type of flowers in this vase as it is only going to enhance the look of flowers and your room. The emerald look of the vase can attract anyone as emerald is an expensive material. The gold lining on the emerald vase is like a cherry on the cake. 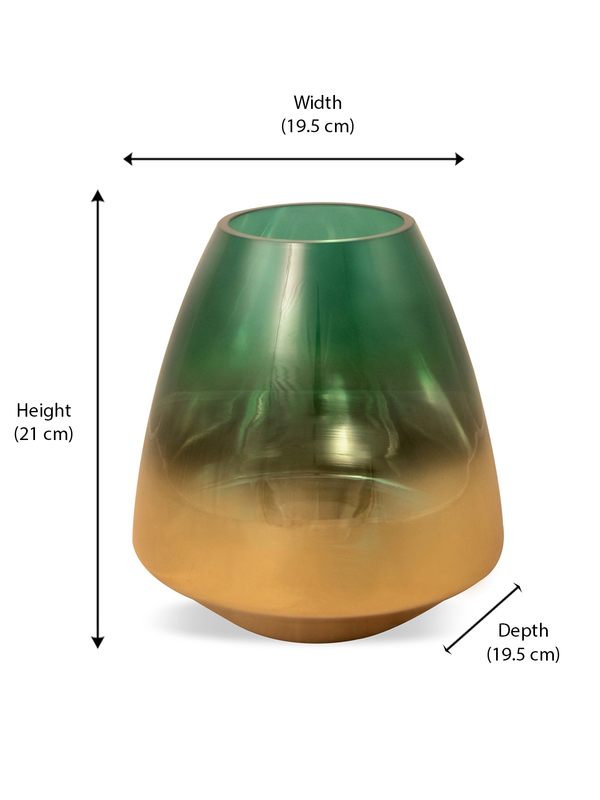 It enhances the look of the shining greenish vase and you can imagine how your flowers would appear when you will use this vase for putting flowers in. Purchasing this vase can never be disappointing to you because it comes in the budget and is available with durable material. Make your home alive with Wild Flowers Gold Band Small Vase from @home.